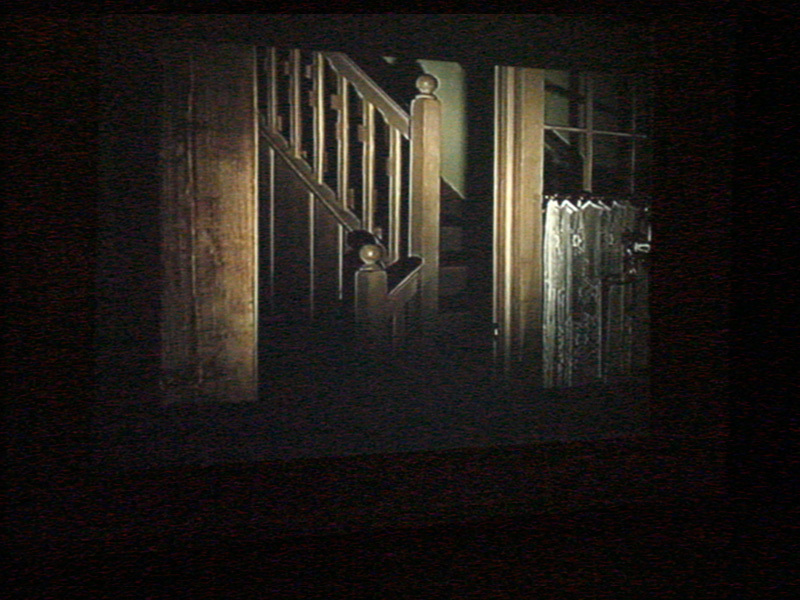 Interior View was created by assembling various shots from popular Horror and Haunted House movies, which are interior shots and are devoid of any people. 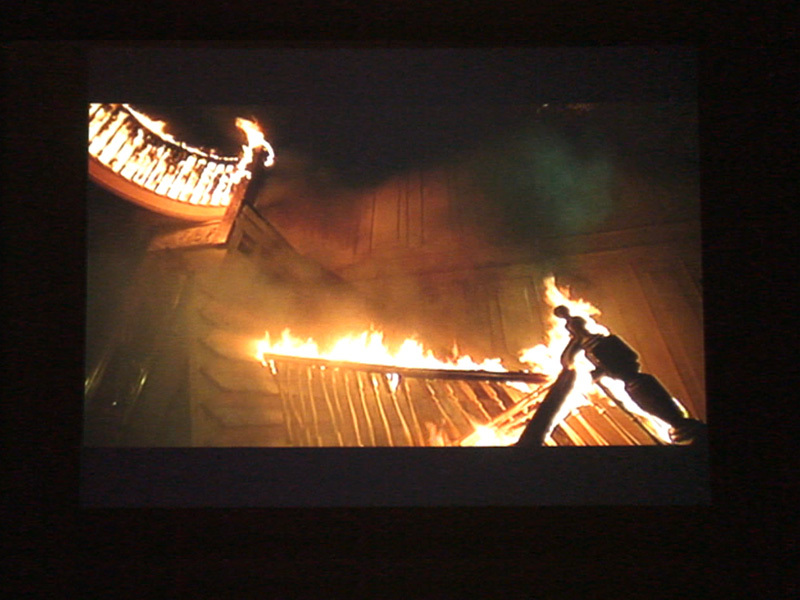 By splicing together these scenes the work creates a continuous and unsettling journey through the interior of a house, often seen from the point of view of the respective protagonists or characters of the films. The dream of the home turns into the nightmare of being caught in the endless labyrinth of staircases, corridors and rooms where the feeling of security is replaced by a constant sense of danger. 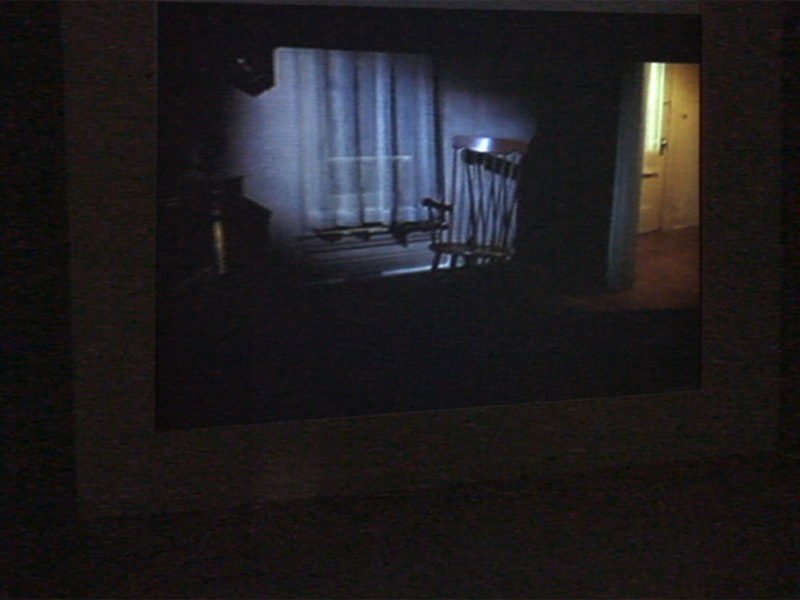 Ultimately Interior View is also a journey through the interior of the viewers mind and cinematic memory, as we are reminded of the cinematic language of fear, despair and horror as well as glimpsing fragments of films which appear to be familiar.